Firstly I would like to thank Hifiman for this sample, I always try to write honest reviews. These have had well over 100hrs of burn-in, in my opinion I have heard small changes and recommend you burn them in fully. The RE800 come in a luxury box, the box has an outer sleeve that says the model name, with a picture and basic specs on the back. Take the sleeve off and you have a wooden box that has a laminate coating on it, with a metal plate with the brand and model number on it. 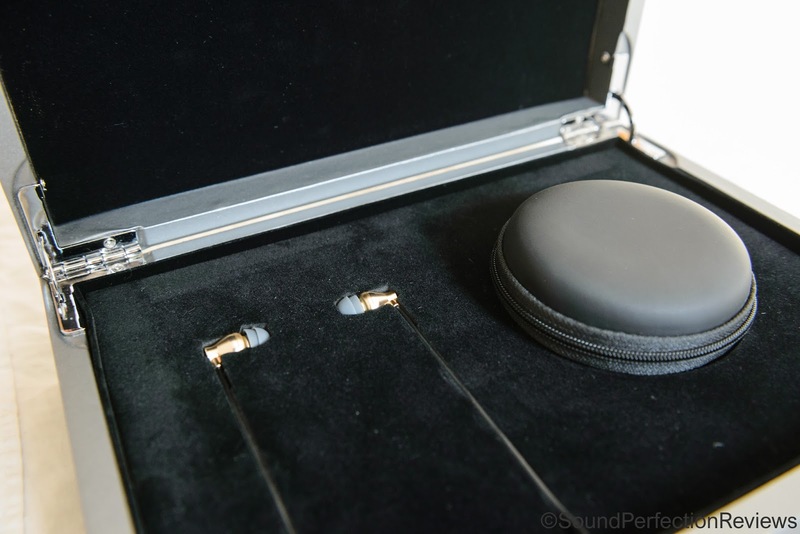 The box has a metal latch and metal hinges, once you open it you will find the accessories and the IEM’s held in a foam inlay. Underneath the main tray you will find additional tips and also an owner’s book which is a very elegant paperback book. The packaging is superb and the un-boxing experience is first class, fitting for the price. The metal housing of the RE800 is tiny and very well finished; the cable is thick below the y-split but maybe a little thin above it. 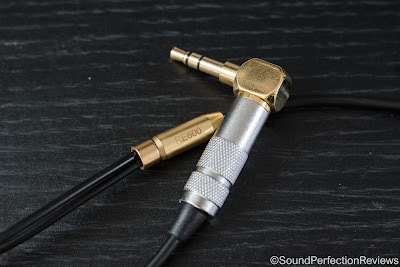 The cable on my pair is fixed, but HiFiMan have brought out a revised version with a detachable MMCX cable. Strain relief is mainly good but is lacking on the entry to the housing, hopefull this is fixed with the detachable cabled version. I think these are well built and the housing definitely feels like a quality IEM. 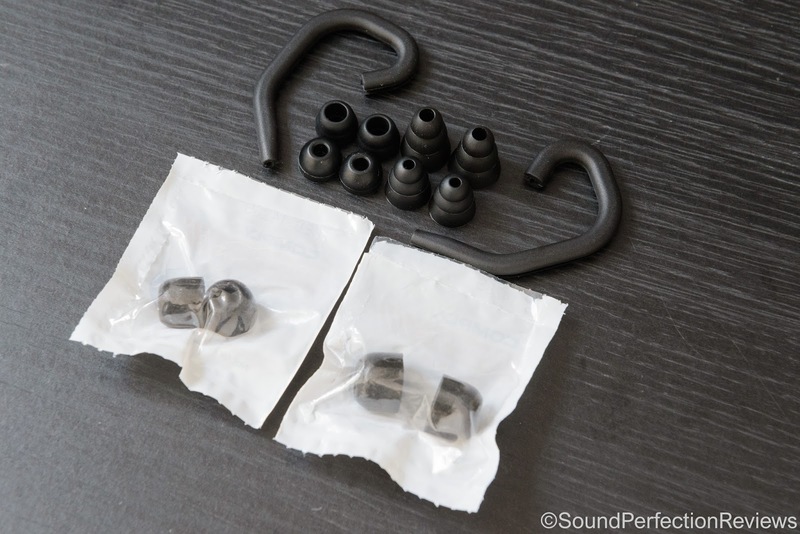 The RE800 comes with quite a few accessories, you get some ear guides for wearing them with the cable routed behind the ear, 2 different types of single flange tips, and triple flange tips in M and L. You also get 2 pairs of Comply foam tips and a clamshell carry case. For the price I think more tips could have been included, and a metal case like the one of the RE2000 would be nice over a normal clamshell case. 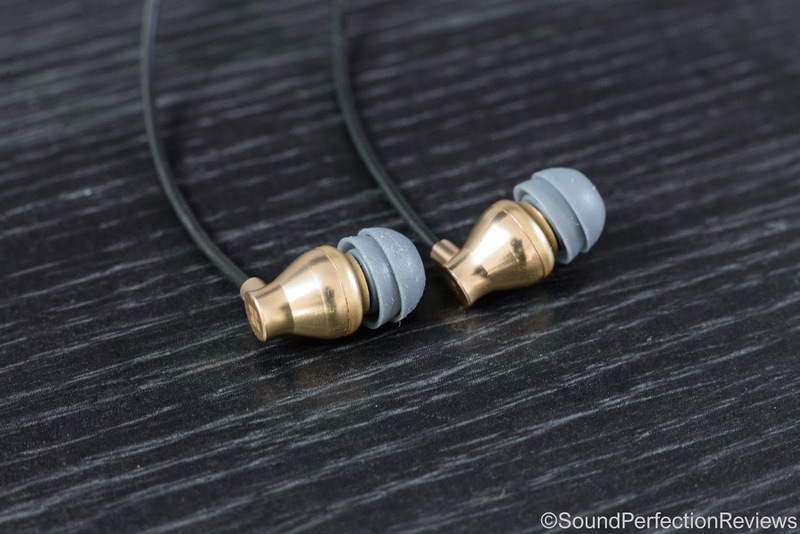 The RE800 are one of the most comfortable IEM’s around, the tiny housing combined with the light weight means once inserted they are comfortable for hours. I found them most comfortable with the cable routed behind my ear. Isolation is good, they are vented so won’t isolate as much as a fully sealed IEM but for general use and some commuting they would be perfectly fine. Driver flex is present occasionally, but only upon initial insertion and is not bad. Cable noise is minimal when worn cable straight down, and never present when worn with the cable over the ear. Lows: The lows on these are similar in some ways to the RE2000, but a little leaner, they come out when called for yet stay in the background when not needed. The extend right down to the sub-bass with ease and linearity, stick on some acoustic and the body is there, some heavy rock and they keep up with ease, then put on some hip-hop/rap and be prepared to hear/feel the sub-bass come out to play. The lows are enjoyable with all genres, and are never bloated; they never encroach on the midrange. Mids: The lows don’t bleed into the mids, keeping them crisp and detailed without any extra body. The do come across with a slightly cold tonality, but has excellent separation and speed. There is an emphasis on the upper mids giving female vocals a bit more presence than males, but there is also a tiny bit of sibilance. The mids are well balanced with the rest of the sound of the RE800, never becoming strident or shouty. Highs: First off, let’s get the bad out of the way, there is a bit of a peak at 7 kHz that can cause fatigue for some and also gives cymbals a bit of a metallic tone upon initial impact. But with that out of the way, some tip rolling can help tame this, as could a touch EQ if you find the peak to be problematic, which I do not. I actually like that these have a nicely extended high frequency response, with plenty of detail and air. You will never lose track of the treble frequencies, but I still don’t find them sharp or overly bright (your mileage may vary). The soundstage on the RE800 is realistic and track dependent, it is fairly intimate but everything is well separated with about equal width and height. Instrument separation is superb with excellent transient response. Conclusion: The RE800 is fast, exciting and borderline bright to some ears and with some tips. There is a flaw, which is the peak, but this can be remedied somewhat with tips to those that are sensitive to treble. 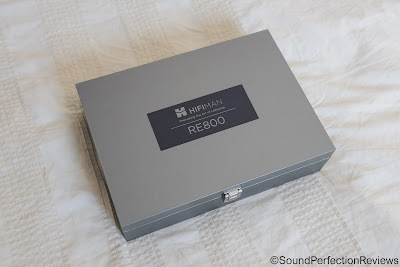 The other downside has actually been fixed, HiFiMan have now revised the RE800 to now come with a detachable cable that uses a MMCX cable. Overall the RE800 is an excellent monitor that does well with a multitude of genres, there is fantastic coherency that you just don’t quite get with multi BA designs, full bodied bass when needed, a midrange packed full of micro detail and some shimmering and well extended treble. 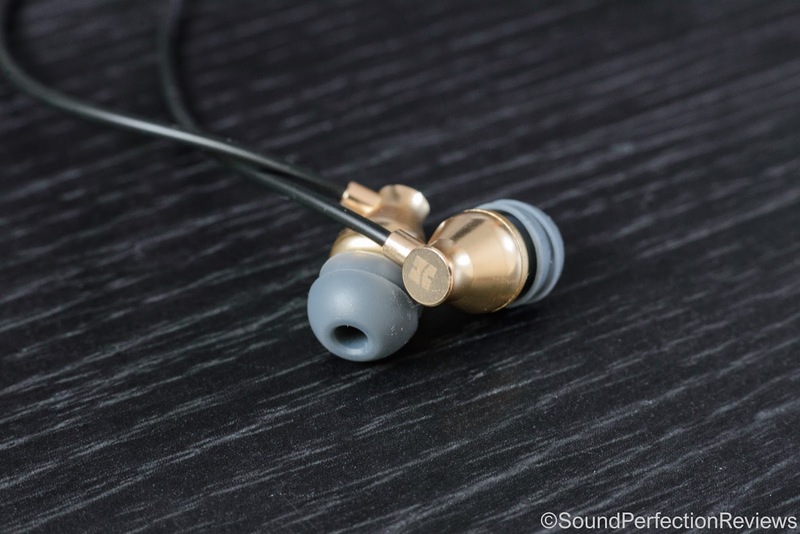 If you crave details, crisp sound and a convincing soundstage these are worth a listen. I have found these play very well with a lot of the faster rock music I listen to.